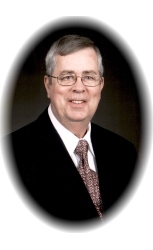 Mr. John Melvin Stuart, age 74 of Griffin, went home to be with the Lord on Friday, April 5, 2019 following a brief illness. John is being remembered by his family and friends as a loving husband, father and grandfather. John was born on January 25, 1945 in Chattanooga, Tennessee. He is preceded in death by his parents, Jack and Ouida (Griner) Stuart; and his brother, Cecil. John graduated from the University of Georgia with a Bachelor of Science degree in Agronomy. He served our country with courage and valor in Vietnam with the United States Army and was awarded the Purple Heart and Bronze Star. John retired from the United States Department of Agriculture after a career as Director of Agricultural Stabilization and Conservation Service for Spalding, Henry and Fayette counties. He also worked part time at Ace Hardware Griffin for many years. John was married for over 50 years to his much beloved Patricia (Patsy) Dunn on December 22, 1968 in Epworth, Georgia. Together, they had 3 incredible sons. He was an avid golfer, quick at Sudoku and crossword puzzles, was a gem and mineral collector. He enjoyed watching UGA football and the Atlanta Braves. He loved trivia and watched Wheel of Fortune and Jeopardy every night. He was a member of First Baptist Church of Griffin. His favorite pastime was, however, spending time with his family and friends, who will always remember his love of sharing stories with them. John is survived by his wife Patsy; sons, David and wife Jennifer, Michael and wife Janet, Greg and wife Kelly; grandchildren, John, Allyson and Olivia; sister, Sue Kimsey and husband Don; brother, Bill Stuart and wife Joanie, sister, Martha Millholland and husband Randal; mother-in-law, Gladys Dunn; brother-in-law, James Dunn; sister-in-law, Sharon Rudy and husband Harvey; niece Lauren; as well as many other loving nieces and nephews. John’s life will be celebrated at a service on Tuesday, April 9, 2019 at 1:00 pm at First Baptist Church of Griffin. The family will receive visitors one hour prior to the service. In lieu of flowers, the family would greatly appreciate contributions to the Benevolence Fund of First Baptist Church of Griffin at https://fbcgriffin.org/give/.